Sophos has said that the malware protection in the new Snow Leopard OS for Macs is a step forward, but warned that it should not be seen as a replacement for full anti-virus software. 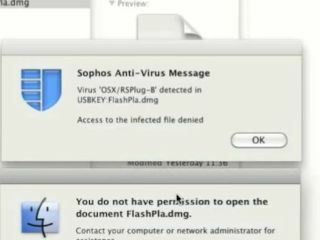 Although Sophos, a company which makes anti-virus software, obviously has a major vested interest in persuading Mac users to buy their wares, it is the case that cyber-criminals are no longer ignoring Macs. "The malware problem on Apple Macs is very small compared to Windows, but it does exist, so well done to Apple for taking their first baby steps in countering it," said Graham Cluley, Senior Technology Consultant at Sophos. "Apple didn't make a big song-and-dance about the inclusion of this malware protection facility in Snow Leopard which was perhaps surprising as the new version of the operating system wasn't exactly bulging with new functionality." Should Apple follow Microsoft example? Cluley believes that Apple would benefit from taking a leaf out of rival Microsoft's book in combating cybercrime on its platform. "The limited protection that Apple has implemented may help otherwise incautious and unsuspecting users. "It would be marvellous if this is also the first step in Apple becoming more involved in the fight against cybercrime. "Wouldn't it be great if Apple could quickly move forward to build a collaborative programme – rather like Microsoft's MAPP initiative – to unite with the computer security industry? "The bottom line is this – it's no longer uncool to have anti-virus on your Mac."